The most effective ad of the summer of 2015 was a two-minute Intel spot profiling an eighth grader who invented a cheaper way to manufacture Braille printers. "Shubham Banerjee & Intel Edison" is thoughtful, poignant and uplifting — and, at nearly two minutes, way too long to run during your average commercial break on TV. held dominant positions, suggesting that the longer run times and looser creative boundaries afforded to Web-only content could help produce more impactful brand messaging. "If your content is entertaining and it’s the right content, you have the opportunity to engage consumers from beginning to end," an Ace Metrix spokeswoman said. "If the entertainment quality is there, people will watch the entire ad." The analytics firm gathered 1,800 ads that ran from July 1 to Sept. 1 and divided them into five categories based on their objectives (Likability, Most Informative, Perception Changing, Most Attention Grabbing and Gotta Have It). The ads were then shown to a panel of 500 people, and ranked on a scale of 1 to 950 based on their reactions. Of the five categories, three of the ads determined to best achieve their strategic objective ran online only. 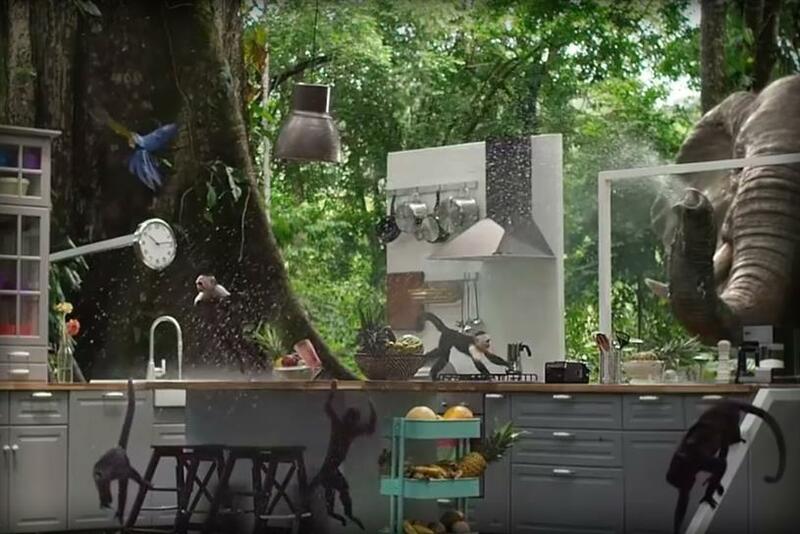 "Rediscover the Joy of the Kitchen," from Ikea, is a 90-second spot in which monkeys, birds and elephants rampage through an Ikea kitchen in the jungle. With a score of 775, it was named Most Attention Grabbing. "The Tropical Storm Drink Recipe," from Peligroso Tequila — also a 90-second spot — simply shows the titular drink being mixed on the beach to the sound of "Helicopter" by Wooden Indian Burial Ground. With a score of 734, it was named most effective in the Gotta Have It category. Perhaps coincidentally, the two most effective ads that ran on TV focused on demonstrating branded apps. The winner in the Most Informative category, scoring 743, was a 30-second spot from Home Depot showing off an app that helped consumers choose the right paint for their homes. The winner in the Perception Changing category, with a score of 707, was a 30-second spot promoting Domino’s app that allows users to order pizza with an emoji.